Last month’s announcement that Israel has agreed to a "prisoner" exchange with Hizbullah again highlights the deviousness of the zionists: Israel has kidnapped scores of Lebanese and other activists and held them hostage, while Hizbullah has captured Israeli soldiers in battle. Israel wants to trade Lebanese/Palestinian/Arab hostages for its soldiers, but it may not have its way entirely. 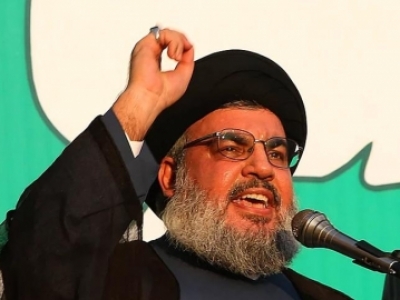 Shaikh Hassan Nasrallah, secretary general of Hizbullah, insists that no deal will go ahead unless Samir Qantar, held since 1997, is included. Two other prominent Lebanese hostages – Shaikh Abdul Karim Obaid and Mustafa al-Dirani – have been held even longer. Shaikh Obaid was kidnapped from his home in South Lebanon in the middle of the night in July 1989; al-Dirani was kidnapped, also from his home, in May 1994. It was revealed by his Israeli lawyer two years ago that al-Dirani had even been sexually assaulted and abused in captivity, a crime considered worse than murder by most Muslims. In the past, Israel has maintained such notorious concentration-camps as Khiam, where hundreds of Lebanese men and women were held in horrible conditions. Torture was routine there. Although Khiam has been closed down, such practices continue elsewhere. In the current negotiations, conducted with Germany’s mediation, Israel has said that it will release about 400 Palestinians and several dozen hostages from Lebanon, Syria, Morocco, Sudan and Libya. Israel says that it will also repatriate the bodies of dozens of Lebanese fighters killed in battles with Israel, but the deal has not gone through because Hizbullah insists that Qantar must be among those being released. The Israelis have offered to release al-Dirani, but without mentioning either Shaikh Obaid or Qantar. The offer to release 400 Palestinians is also misleading; Israel routinely arrests Palestinians from their villages and towns and uses them as bargaining-chips. There are thousands of Palestinians being held in Israeli jails without charge; their only crime is that they are Palestinians. Israel wants the release of Elhanan Tannenbaum, a reserve colonel in the Israeli army who was captured by Hizbullah in October 2000, as well as that of three other soldiers captured during clashes in the Sheba’ah Farms area (South Lebanon) the same month. Tannenbaum had gone to Dubai, from where he was lured to Beirut and captured. The Israelis claim he is a businessman; this is only partly true as most Israelis are military reservists who perform dual roles, switching from civilian to military duty regularly. Tannenbaum has also been linked with Mossad, with some reports saying that he was arrested during a mission against Hizbullah. There is also the case of Ron Arad, an Israeli Air Force navigator who was shot down in 1986 in southern Lebanon. The Israelis claim he was captured by Hizbullah, who have denied knowledge about him. Arad’s case has been the subject of wild speculation, especially in the Israeli press, and also in the western media, which usually parrot zionist propaganda. There is also disagreement among the Israelis about the not-yet-finalized deal; Arad’s wife (or widow) demands that al-Dirani not be released; Haim Avraham, Arad’s father, wants the chapter closed. "I’m pleased with the [Israeli] government’s decision and I hope it will begin to bring an end to our suffering," he says. However, he wants his son’s body to be returned. Even while Israel has been negotiating a prisoner/hostage exchange through German intermediaries, its air force planes have continued to violate Lebanese air-space and bomb villages. Since October 2000, Israeli planes have carried out threatening flights over Beirut, the Lebanese capital, without provoking criticism from any quarter. Were fighter jets from any Muslim country to overfly Israel, it is certain there would be an immediate outcry. In fact in February 1973, when a Libyan civilian airliner strayed over the Israeli-occupied Sinai Peninsula, it was blown out of the sky without warning, killing all 109 passengers on board. Israel, the world’s most notorious hostage-taker, is finally beginning to realize that its blackmailing tactics have been effectively checkmated by Hizbullah, just as it has been militarily defeated by Hizbullah’s fighters.